Joy Hears voices. Her dysfunctional sister, Icka (Jessica-- loved that!) and overly involved mother do, too. It's not easy to Hear everyone's wishes and desires, but Joy has always tried to please everyone around her and do what she can to help her friends get what they want. Things have changed, though-- she is hearing more and more negative thoughts that disturb her, getting headaches, and trying to save her self-destructive sister, to whom she used to be very close. When Icka runs off, Joy starts to Hear her sister, even though she is miles away, and knows that she is in desperate trouble. With the help of James, a boy who is in constant trouble because he can feel what people are feeling all the time, she has to locate her sister before she comes to grief, and has to deal with her growing powers as well. Excellent portrayal of friendships, and how they change once Joy knows what her friends are thinking about her. This type of book is really a mystery, too, and I have to start remembering to recommend these for the mystery units. Must say that I wasn't looking forward to another paranormal romance with a dark, vaguely misty cover, but I was pleasantly surprised and really enjoyed this. Warning: Liberal use of the f word, so more of a high school title. Elder daughter picked this up right away. Told from two viewpoints, this follows the story of Mary Finn, a girl who goes into a servant's position in London, and James, a boy who goes from his foster home to the Foundling Hospital in London. Mary's story starts in 1876, and James in 1884, and the historical details of this period are wonderful. We find how hard it was for Mary to work as a servant, and also how much harder her life becomes when her romance with a soldier comes to a bad end. We also get a very detailed view of life in the Foundling Home. It is not immediately apparent how these two narratives will converge, but they do in a very interesting fashion which I don't want to give away. Mary's romance makes this more appropriate for high school students, but it is a great choice for anyone wanting to know about this time period. Jocelyn also wrote Would You, which I could not buy because the main character who is in a coma was named Claire (elder daughter's name); oddly enough, Jocelyn's daughter shares a name with Picky Reader-- Nell! Palmer, Robin. 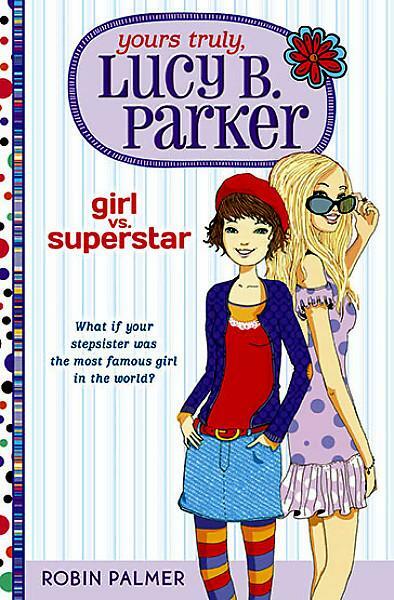 Yours Truly, Lucy B. Parker: Girl vs. Superstar. I was so happy to pick this one up at the library-- I was enjoying Palmer's YA novels Geek Charming and Cindy Ella, but Lucy is going into 7th grade. Perfect! Picky Reader is looking at this right now, since it reminded me a bit of Myracle's Winnie Years Series. Lucy has typical 7th grade concerns--she's trying to avoid letting her mother force her into a bra, worried about getting her period, and recovering from a hideous haircut. If that weren't bad enough, her divorced mother is dating, and not just anyone-- the father of Laurel Moses, a Miley Cyrus type superstar. Lucy, who favors stained jeans, t shirts, and hats to cover her bad haircut, is intimidated by Laurel, but comes to find out that the star is not as self-confident as she thought. When it becomes apparent that Lucy's mother and Laurel's father are going to get married, the two girls try to make their peace and deal with the changes that the marriage will bring. There is a sequel coming out in November. This was fun stuff, and fast-paced like all of Palmer's work. My only concern is that there are so many cultural references to fashions and brands that this might be dated very quickly. (What the heck is H&M? Not even Picky Reader knows!) This book is dedicated to Judy Blume, who was sparing in her use of these references and is still read, even though most of the books are at least 30 years old. It's a difficult balance. Ehrenhaft, Daniel. 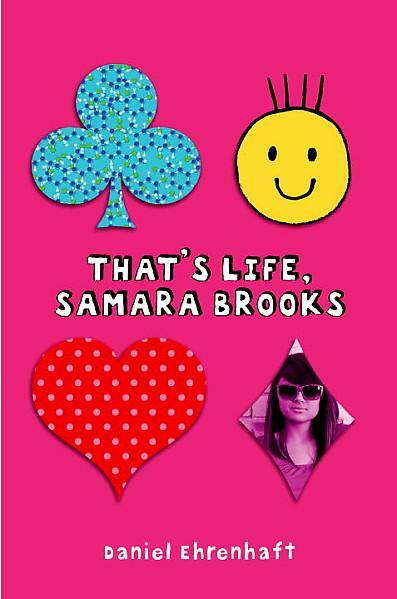 That's Life, Samara Brooks. "When thirteen-year-old Samara devises a genetics experiment to cover up her involvement in a middle school gambling scheme, she and two classmates make a discovery that causes them to question their beliefs about God, aliens, or "Whoever-you-Are." I'm not finding a lot of blog reviews, so I'll be interested to see if this gets more mention.